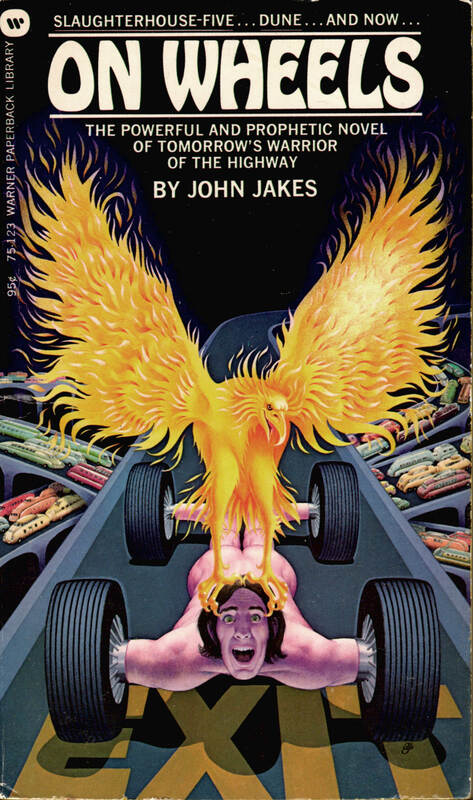 ABOVE: John Jakes, On Wheels (NY: Warner, 1973), 75-123, with cover art by Don Ivan Punchatz. ABOVE: Mike Resnick, The Three-Legged Hootch Dancer (NY: Signet, 1983), 451-AE2082, with cover art by Don Ivan Punchatz. To view all of the covers with art by Don Ivan Punchatz (1936 – 2009) that I’ve posted so far, click here and scroll down. Keywords: On Wheels by John Jakes, The Three-Legged Hootch Dancer by Mike Resnick, Don Ivan Punchatz. 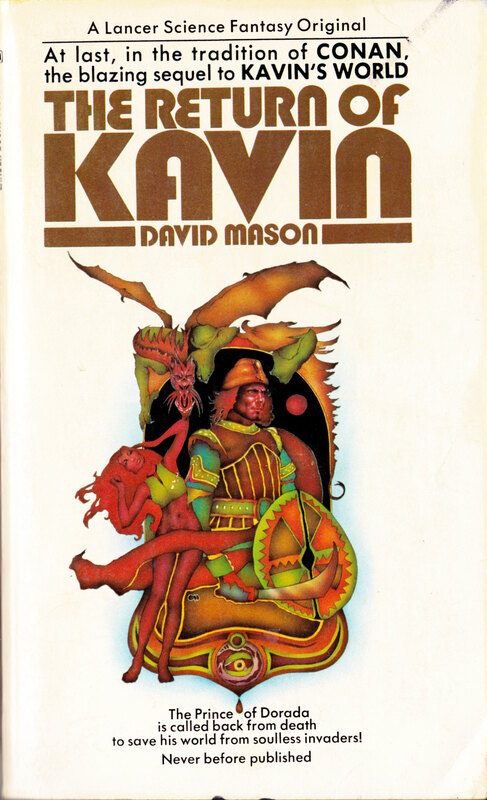 ABOVE: David Mason, The Return of Kavin (New York: Lancer, 1972), with cover art by Charles Moll. 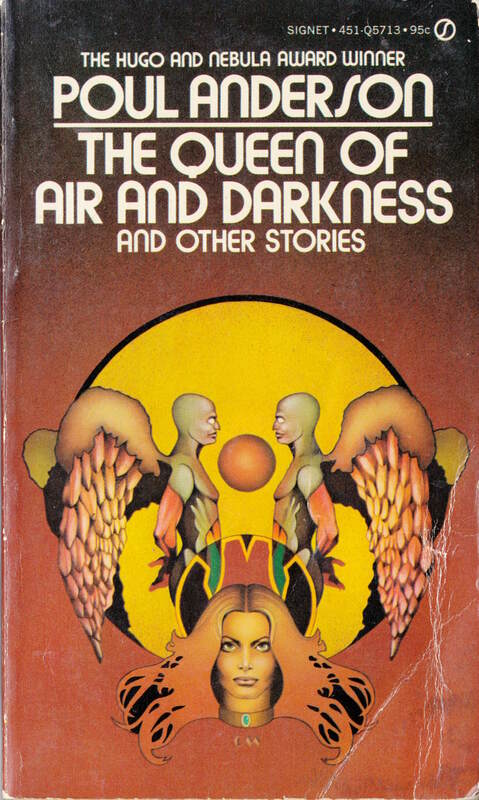 ABOVE: Poul Anderson, The Queen of Air and Darkness and Other Stories (Scarborough, ON: Signet, 1973), with cover art by Charles Moll. 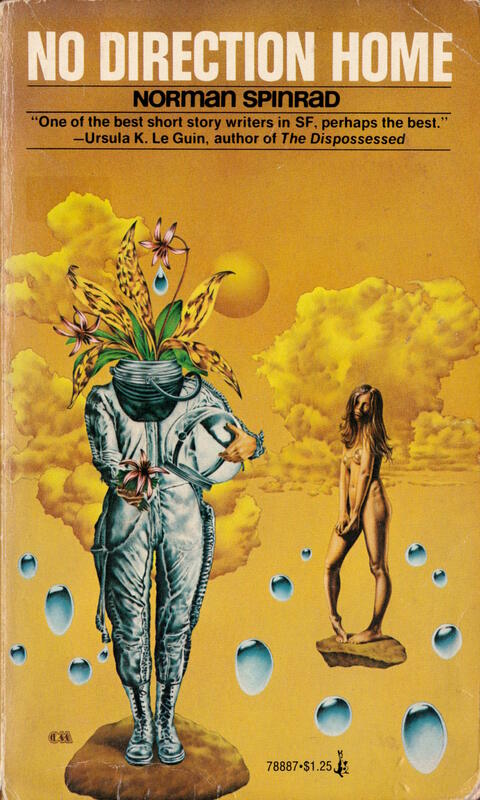 ABOVE: Norman Spinrad, No Direction Home (New York: Pocket Books, 1975), with cover art by Charles Moll. 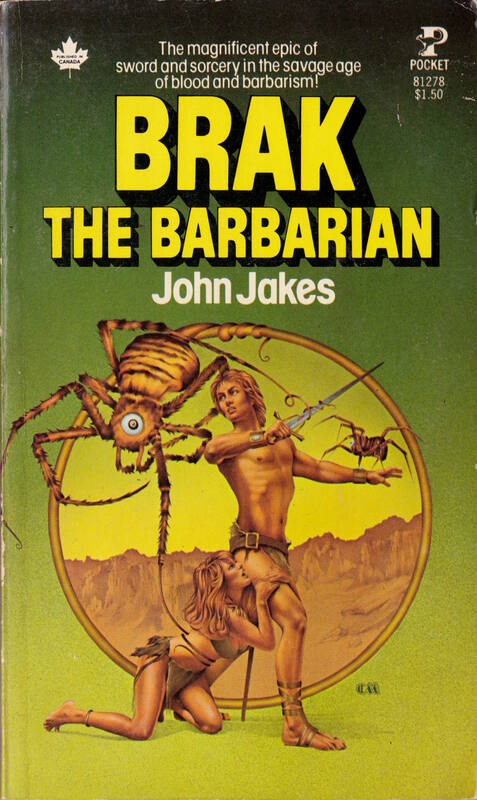 ABOVE: John Jakes, Brak the Barbarian (New York: Pocket Books, 1977), with cover art by Charles Moll. Moll’s sombre, psychologically engaging surrealist cover art for Spinrad’s No Direction Home is the clear winner here. The other covers are nothing special, although Moll’s art for Brak the Barbarian (1977) gets points for featuring a pretty-boy protagonist who does not conform to reader expectations for a Conan-esque barbarian hero who lives “in the savage age of blood and barbarism.” It’s an interesting choice, though the sterile execution leaves much to be desired. With his painting for the cover of Twilight of the Serpent from the same year (1977), Jeffrey Jones produced an image that goes against the grain of heroic fantasy in a similar way but he really made it work, not merely by means of a superior concept but also by means of his superior grasp of the expressive potential of his chosen medium (here’s a link to the full post). Keywords: The Return of Kavin, The Queen of Air and Darkness and Other Stories, No Direction Home, Brak the Barbarian. 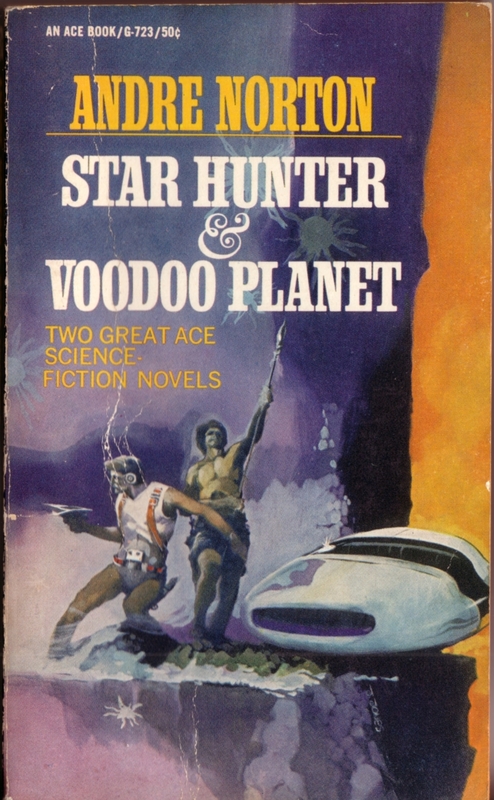 ABOVE: Andre Norton, Star Hunter And Voodoo Planet (New York: Ace, n.d.), with cover by Jeffrey Jones. 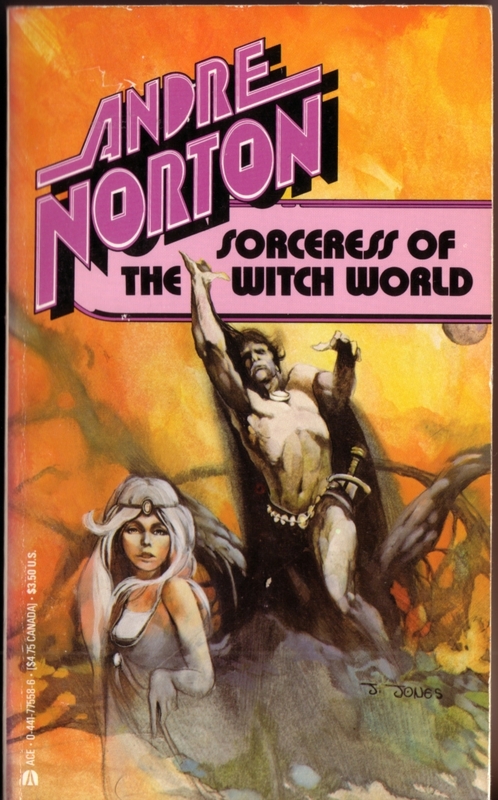 ABOVE: Andre Norton, Sorceress of the Witch World (New York: Ace, 1968/1978), with cover by Jeffrey Jones (mis-credited to John Pound). 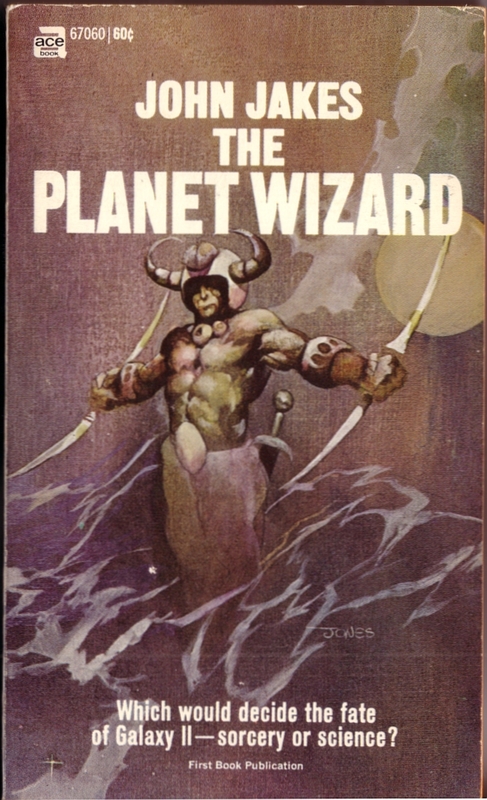 ABOVE: John Jakes, The Planet Wizard (New York: Ace, 1969), with cover by Jeffrey Jones. 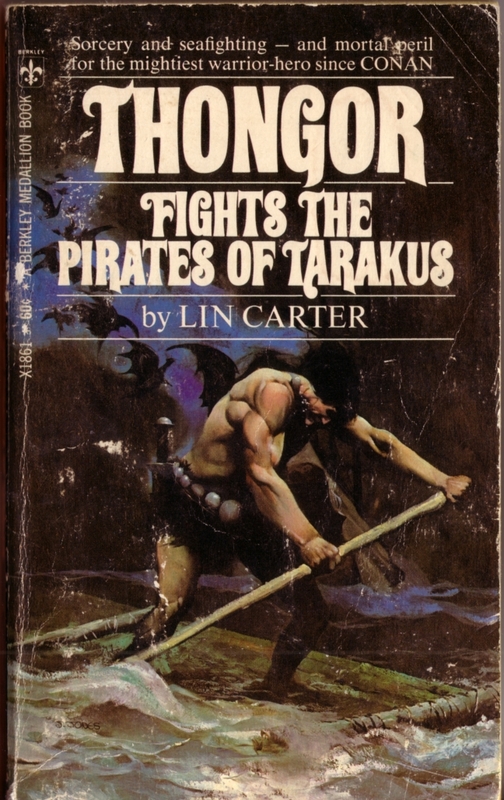 ABOVE: Lin Carter, Thongor Fights The Pirates Of Tarakus (N.p. : Berkley Medallion, 1970), with cover by Jeffrey Jones. 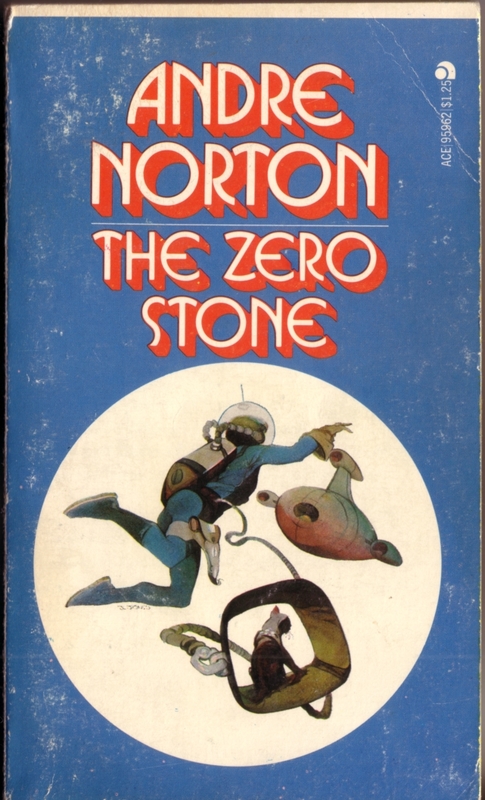 ABOVE: Andre Norton, The Zero Stone (New York: Ace, n.d.), with cover by Jeffrey Jones. 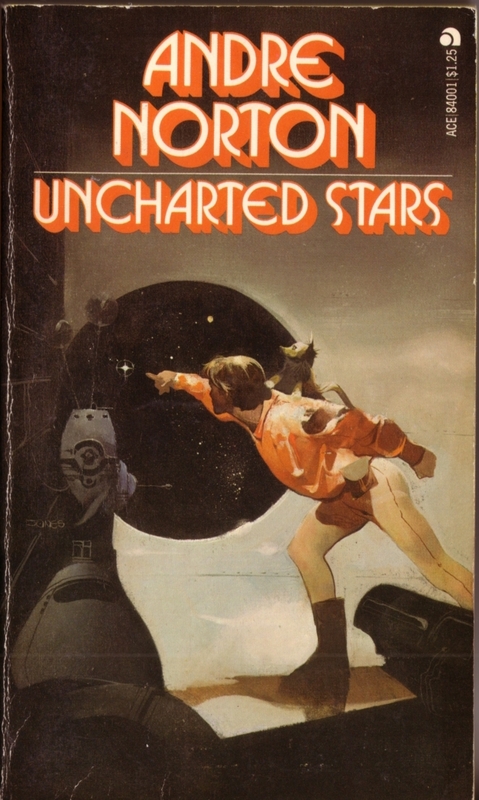 ABOVE: Andre Norton, Uncharted Stars (New York: Ace, n.d.), with cover by Jeffrey Jones. I don’t really like any of the above covers, with the exception, perhaps, of the Uncharted Stars cover, which I feel is a step up from the others in terms of draftsmanship, composition, technique, originality, and wit. Keywords: Star Hunter And Voodoo Planet, Sorceress of the Witch World, The Planet Wizard, Thongor Fights The Pirates of Tarakus, The Zero Stone, Uncharted Stars. 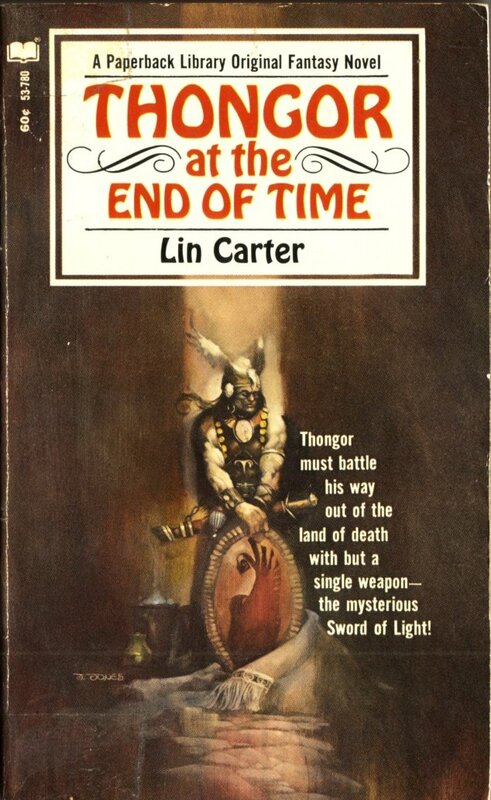 ABOVE: Lin Carter, Thongor at the End of Time (Paperback Library, 1968), with cover by Jeffrey Jones. 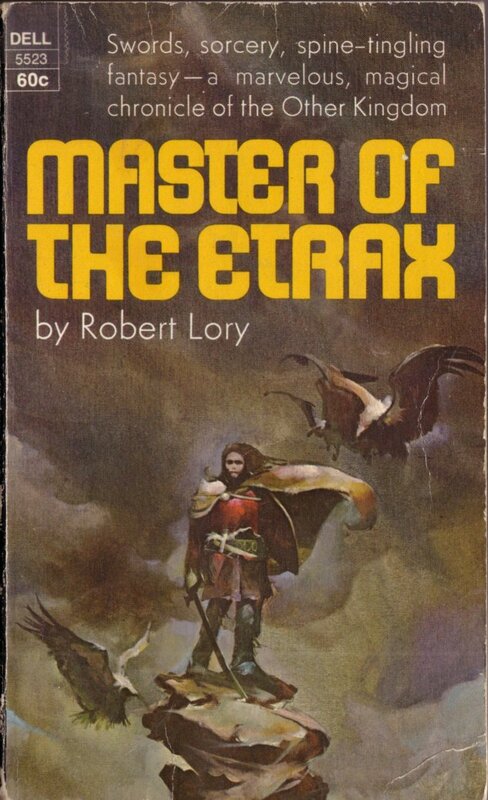 ABOVE: Robert Lory, Master of the Etrax (Dell, 1968), with cover by Jeffrey Jones. 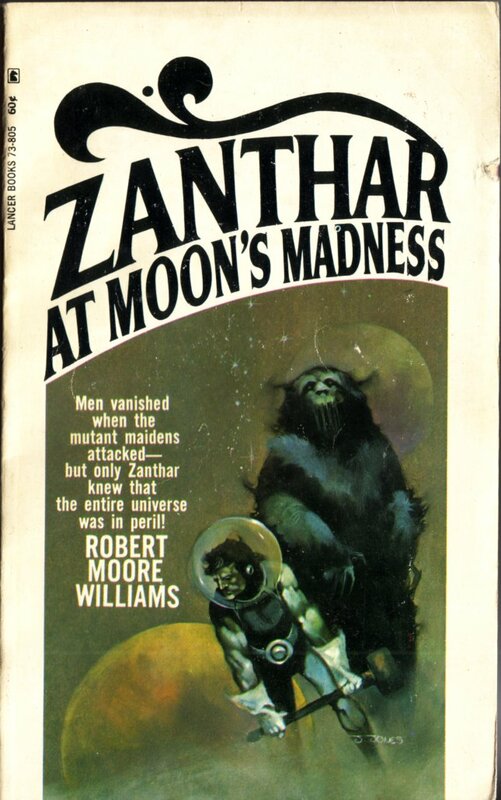 ABOVE: Robert Moore Williams, Zanthar at Moon’s Madness (Lancer Books, 1968), with cover by Jeffrey Jones. 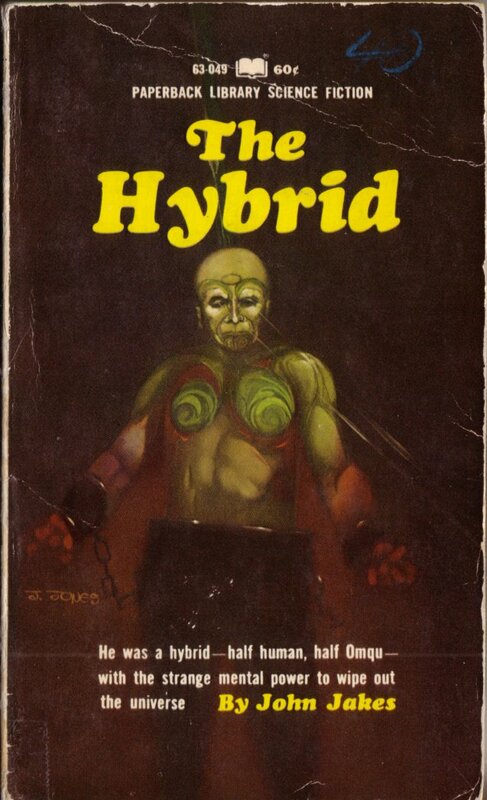 ABOVE: John Jakes, The Hybrid (Paperback Library, 1969), with cover by Jeffrey Jones. To make up for the lacklustre art this time round, my next post will feature two covers by Jones from the early 1970s that I think are very strong, along with one that I have mixed feelings about, so stay tuned for that! Keywords: Thongor at the End of Time, Master of the Etrax, Zanthar at Moon’s Madness, The Hybrid.